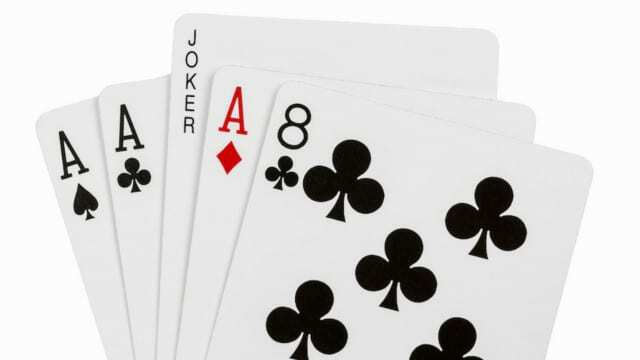 Feinstein Shuffle: Two Card Monte or Aces and Eights? Whatever the Democrats are doing or think they’re doing, be assured they’re not dealing from a full deck. When your opponents already know your card tricks, and you continue to play it again and again, it makes true the old adage: “stupidity is doing the same failed thing over and over again hoping for different results.” When the object however, is not to win a hand at cards, but destroy a persons reputation by deceit, trickery, lies and innuendos, then the game becomes one of pure evil vs. moral and ethical decency, traits lost apparently, to our politicians. When we do things we know are deceitful, like an improvised political attack, but fail to advise our own team (of Dr. Fords letter) when she got it, let alone the Judiciary committee chairman, one must ask was it in Sen. Feinstein’s personal self interest, and if so, how? Is Feinstein so slavishly devoted to Socialism, even at this late date in the game, and didn’t even tell Chuckie, the minority leader Schumer about it, then what was her game? Is it because politicians, like her, are so absorbed in staying in office or throwing others out, that there’s no room left for debating the issues relying instead on the weight of false charges, innuendos and lies to foment public outrage – just to win a hand? Senator Feinstein, a multi-millionaire whose material wealth it is suspected, has been accrued over the decades by cheating tax payers, as well as combined with her husbands commercial contributions, mark her as a hypocrite of the first order. It is already understood she is a liar and a cheat, but so are most of the other Democrats rising through their ranks. But she stands out because she alone, dealt this false hand on the SCOTUS confirmation that’s facing us now. Winston Churchill told us: “It is a fine game to play the game of politics—and it’s well worth waiting for a good hand before really plunging.” But realistically, Feinstein is only a ‘deuce’ card in the political deck, basically a nobody in the large scheme of things, useful only for advancing the Socialist cause specifically because she has no scruples or decency. I suspect that Feinstein knows she has reached her pinnacle of power. She clearly believes her status as an ‘elected’ politician, entitles her to special honors, rather like a Duchess of a royal house. When politicians, like Feinstein, become convinced they can do anything they want, indeed demand their personal views be acceptable to a whole nation, then that politician has far outlived their usefulness to their party or their country, except as an anchor to drag both down. We know this because she once challenged a General Officer in a hearing, who caller her “Ma’am,” and she chastised him for not calling her Senator, as she had worked so hard for it. To her, the rank of the General officer sitting before might as well have been a private soldier. Feinstein must also believe that politics can be as exciting as war, she has stayed in it for so long. She may be correct but, in war you only get killed once. However, by claiming regular order as a national misfortune, as a means of advancing ones cause, you can get one killed again and again. Was Feinstein playing Two Card Monte or poker, holding Aces and Eights? Only time will tell. How about a hand for Term Limits? In the end, her career will be footnoted for exactly the issues outlined above, a poor card player, a ruiner of reputations, and an unscrupulous but artless politician who survives only by her own deviousness. For her, no gun carriage or muffled drums, no repose in the Capital rotunda. No folded American flag, no taps, no honors. What’s left of her earthly remains would fit nicely in a Mason Jar. Well, there you are!